Big cities can be a challenging place to make connections for any age, but, in Metro Vancouver, young adults are having a particularly lonely time. Big cities can be a challenging place to make connections for any age but in Metro Vancouver, young adults are having a particularly lonely time. 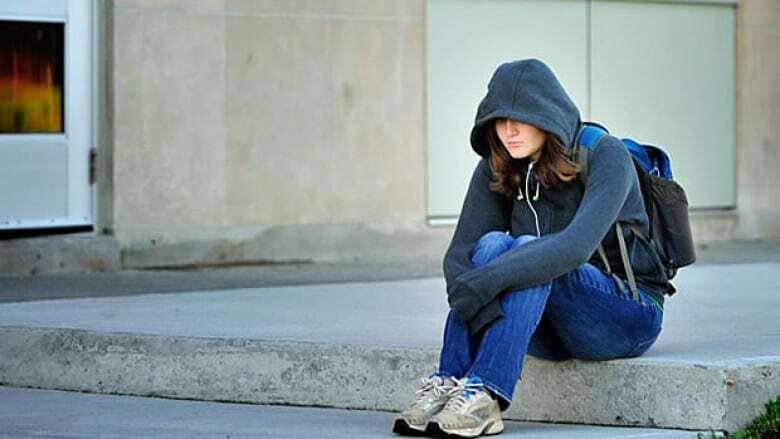 A new report by the Vancouver Foundation found that nearly a third of 18- to 24-year-olds across the region experience loneliness "almost always" or "often." Of the nearly 3,800 people surveyed in Metro Vancouver, just 14 per cent of the general population say they feel lonely frequently. Tesicca Truong, a 23-year-old civic advocate, said she was not surprised by the findings. It is part of a larger issue across the region of financial stresses, uncertainty about the future and being spread out geographically, Truong told CBC Early Edition host Rick Cluff. "It's this trade off between affordability and time," Truong said. "When they are spending time with other people, they aren't spending time making money." Nearly half of people with a household income under $20,000 spend more time alone than they want, the report found, and 37 per cent of people who make between $20,000 and $40,000 say they spend too much time alone. Issues of affordability and geography are tightly linked, Truong said, and impacting young people's ability to maintain friendships. "Folks are being pushed out further and further away from where they work, live and play and so there is a lot more travel time involved," she said. "Often, you are asking and trying to schedule a time weeks in advance just to hang out with someone." The loss of serendipitous hang-outs is something Truong said resonates with her. In the past few months alone, she said, many people she knows have moved out of the city. "I can't even count on one hand the number of people that I've lost social connections to or that I'm only maintaining them through online or digital channels," she said. Beau Han Bridge, 24, said he's found that technology and social media can lead to a deeper sense of social isolation. "I can definitely relate," he said. "If you don't feel like you are a part of it or you don't feel like you can relate to it, you naturally develop this self-identity of the "I against them" type thing," he said. Bridge started a theatre company to do creative projects that involve more face-to-face interaction between young people. Truong said trying to reach out and cultivate in-person relationships is helpful, but not the long-term solution for the city as a whole. "It's more of systemic challenge," she said. "Making that extra effort to reach out can help, but I think that alone is not going to solve that systemic issue that we have here in the city."